Do you love reading about handsome Highlander heroes, chatting with guest authors, and winning books? If so–and if you’re on facebook–you might want to check out my new book club. The Clan Kendrick Facebook group is devoted to my new Scottish historical romance series, which spins off from my last book, THE HIGHLANDER’S PRINCESS BRIDE. My readers and I will be discussing my books, how the new series links to my older series, and also chatting about any and all things Regency and Highlander. And I’ll be hosting guest authors and giveaways on a regular basis, and sharing tidbits from book one in the series, THE HIGHLANDER WHO PROTECTED ME (releasing Oct. 30th). It’s easy-peasy to join the group. Just click here. Hope to see you on facebook–I think it’s going to be a lot of fun! Are you on Goodreads? If so, you might want to check out the giveaway for my next book, THE HIGHLANDER’S PRINCESS BRIDE (5 copies up for grabs). This is book 3 in my Improper Princesses Series, which will be out on Oct. 31st. If you’d like to enter the Goodreads giveaway, please click on this link. I’m also giving away two advanced reading copies of THE HIGHLANDER’S PRINCESS BRIDE on facebook. If you’d like to enter that contest, just click here. For more info on the book and to read the first three chapters, please visit the Book Page. 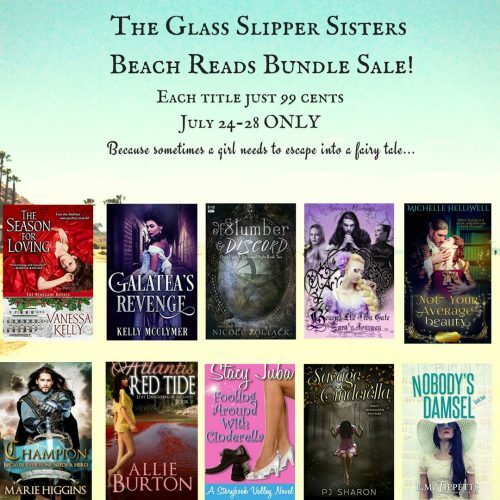 I’m a member of the Glass Slipper Sisters, a group of romance authors who write royalty and fairytale-themed romance. We even have a special facebook group, where we chat with readers, post exclusive excerpts and content from our books, and run giveaways. If you’re on facebook, you can join our group here. We’re also running a special summer sale, with ten of our stories available for only 99 cents. You can check out all these lovely books on our special sale page. 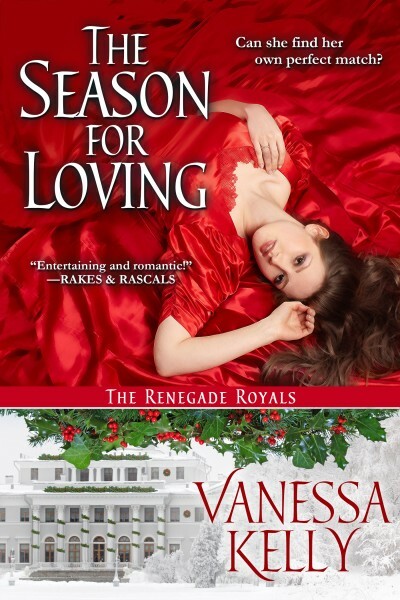 My contribution is THE SEASON FOR LOVING, one of my Renegade Royals novellas. Blurb, excerpt, and buy links for THE SEASON FOR LOVING are also right here on my website. Hope you have a great reading weekend! THREE WEEKS WITH A PRINCESS releases into the wild world tomorrow–huzzah! To celebrate, I’ll be holding a facebook party tomorrow evening from 7 – 9 pm, EST. There will be chats with guest authors like Christi Caldwell and Shana Galen, and lots of giveaways–like this one! This prize includes a lovely ceramic coaster, books off my backlist, and signed book swag. There’s also a grand prize giveaway of lovely jewelry, and also an Amazon gift card. To RSVP or for more details, please click here. 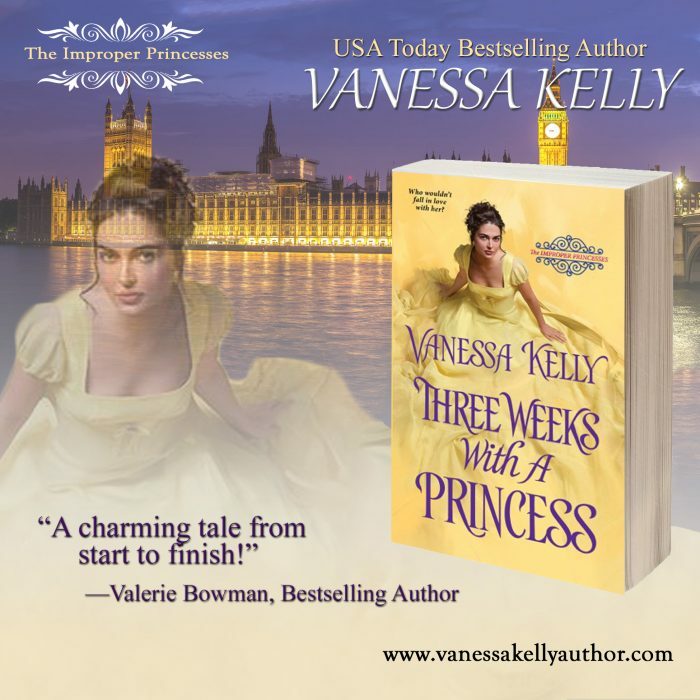 I do hope you’ll join me to celebrate the release of THREE WEEKS WITH A PRINCESS. For more info and to read excerpts from the second book in my Improper Princesses Series, please visit the Book Page. 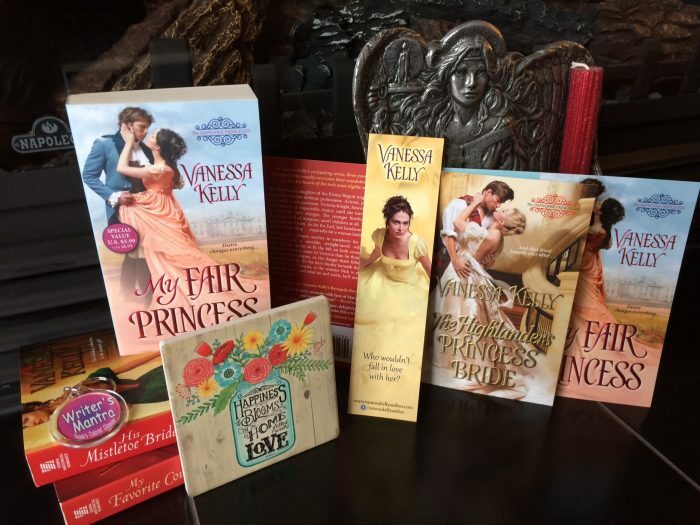 THREE WEEKS WITH A PRINCESS Blog Tour! On June 27th, my next book will be hitting store shelves. THREE WEEKS WITH A PRINCESS is the 2nd book in my Improper Princesses Series, and I’m really excited about it! To celebrate the release, I’m holding a three week blog tour that will features reviews, exclusive excerpts, and a grand prize giveaway: a $50 Amazon gift card! You can enter the contest at each site, too! For more info about THREE WEEKS WITH A PRINCESS, please visit the Book Page. And speaking of princesses…I’ve recently teamed up with a wonderful group of authors who write fairytale and royalty-themed romances. We’re called The Glass Slipper Sisters, and we’ve got a great website (with lots of free reads), and a facebook group for chatting about all things royalty and for doing giveaways. Please check us out!